Aged Farmhouse Gouda Cheese is Sweet, Crunchy and Caramel-Flavored. Farmhouse Gouda cheese (Goudse Boerenkaas) doesn't taste anything like the little red waxed balls of gouda you find in the supermarket. Gouda (correct pronunciation is HOW-dah, not GOO-dah) was first made in the environs of the town of Gouda back in the 6th century. Today 60% of all Dutch cheese production is Gouda cheese! The very best Gouda is what is called ... Goudse Boerenkaas. This is the authentic farmhouse cheese made from raw cow's milk. It has a natural, unwaxed rind. The cheesemakers often add different seasonings to Gouda such as: cumin, caraway, pepper, herbs. The cheeses are wheel-shaped and can weigh from 5 lbs up to 60 lbs. Most Goudas are aged from 1-6 months and so are sold as young, medium-aged or aged, depending on the ripening period. Some Goudas are ripened even longer (sometimes for several years), transforming into hard cheeses ideal for grating. As it ripens, Gouda will change in appearance, taste, and color. The youngest versions are very mild with a light yellow paste. The medium-aged versions have a much stronger taste and can be shredded for cooking. The aged versions are really quite crumbly in texture and dark yellow. We all are familiar with the little round, red wax-covered Goudas sold in supermarkets. Please don't assume that authentic, small-production Dutch Farmhouse Gouda tastes anything like those mass produced, gummy, pasteurized versions! The Farmhouse Goudas are usually covered in straw-colored or brown paraffin wax. The aged versions are dry and crunchy with intense, sharp, sugary flavor. Since Gouda is not a protected name, cheese made in other countries can carry the Gouda name. Coolea is a Boerenkaas-style Gouda produced in Ireland which I talked about in Notable British Cheeses. Farmhouse Gouda won't be found in the supermarket. If you don't have a specialty cheese shop nearby, you will want to shop online to buy the real stuff. 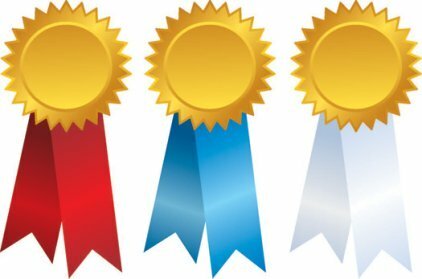 And in fact, if you are wondering what might be some of the top rated, artisanal cheeses for you to consider - one of the very best ways in my opinion is to take a look at the website for Artisanal Premium Cheese. Their selection of hand-crafted cheese from around the world, including many from our best American Artisanal Cheesemakers is unmatched. I shop online there myself and have absolutely NO hesitation in recommending them to you. You are in for a treat, so treat yourself - or buy a gift for a friend! Beemster Classic Gouda is an aged version (18-24 months) of Farmhouse Gouda which you really must ask for in your cheese shop. The flavor is reminiscent of toffee with a hint of bourbon - highly unique. 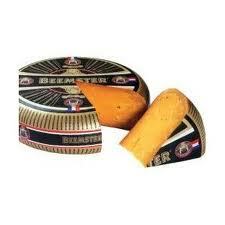 The black and gold, foil-wrapped Beemster is distinctive, standing out easily in a cheese display. Beemster Classic is regarded as the signature Dutchcheese in Holland. Its complex taste is developed through natural aging on wooden boards for over 18 months in their historic warehouses. With Beemster's creamy texture and smooth, balanced flavor, it is ideal to eat by itself ... and it will pair perfectly with a wide variety of wines. All Beemster cheeses (there are other versions besides the Classic) are made by a farmers' co-op in northern Holland that has been making Gouda cheeses for over a century. The milk from this region, due to the one-of-a-kind blue sea clay under the pastures, is known for its smooth, sweet taste and creamy texture. The land itself, located 20 ft. below sea level, was reclaimed from the sea in 1612, using a master plan, extensive manual labor, dykes and 55 windmills. This land, now known as the ‘Beemster’ polder, has a mineral-rich composition which lends a special quality to the grass. This factor is also referred to as ‘terroir’ . The Beemster cheesemakers have a long history of artisanal cheesemaking - and a tradition of their master cheesemakers passing on their experience to young apprentice cheesemakers. Today Beemster supplies the Royal Court of the Netherlands, but its fine cheeses can be found in good specialty cheese shops in the USA. Give them a try!